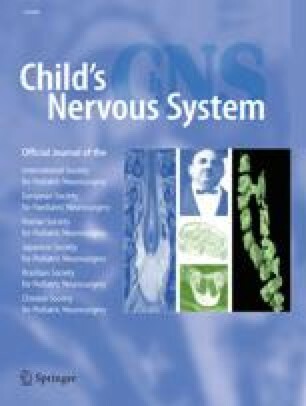 A prospective study of 36 consecutive patients with congenital arachnoid cysts treated endoscopically is reported. There were 15 female and 21 male patients. The mean age at the time of diagnosis was 12.3 years (10 days to 38 years). Arachnoid cysts were located in the suprasellar region in 16 patients, the sylvian fissure in 11, the quadrigeminal cistern in 4 and the posterior fossa in 5. Endoscopic fenestration was combined with cysto-peritoneal shunting for 6 temporal cysts and with ventriculo-peritoneal shunting in 1 suprasellar cyst. Mean postoperative follow-up was 4.2 years (range 1–8 years). Follow-up imaging studies showed that 28 arachnoid cysts (77.8%) were obliterated after endoscopic procedures. Long-term clinical results were good in all patients, although the cysts of 8 patients were not reduced in size. There was no mortality or morbidity. We conclude that endoscopic procedures may be a promising alternative to microsurgical operations or shunting for the treatment of arachnoid cysts.